The unique shape and character of the balconies is just what you can see from the outside. This striking architectural concept alone is worth the price of admission. 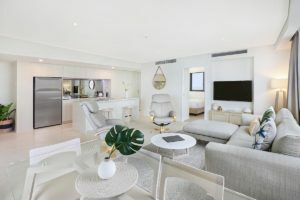 Designed for maximum sunshine and light, with fairness to other floors, the uniquely curved balcony floors provide a beautiful sculptural echo of the beaches, bays and coves of the Sunshine Coast. The apartment interiors deserve equal mention. The bold use of materials, lots of real wood veneer, travertine style tiles and the liberal use of durable lacquer surfaces in the apartment provide an understated luxury rarely experienced with holiday accommodation. The fully equipped chefs kitchens offer every mod con that you can expect. Nothing is overlooked at The Breeze. 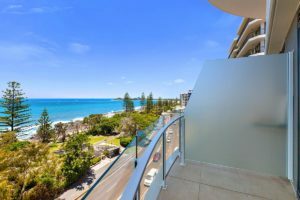 Choose from a one, two or three bedroom apartment in this accommodation in Mooloolaba and bring the whole family to enjoy a vacation in this stunning part of the coast. Relax on your ocean facing balcony and take in the stunning views over Mooloolaba and Sunshine Coast region. 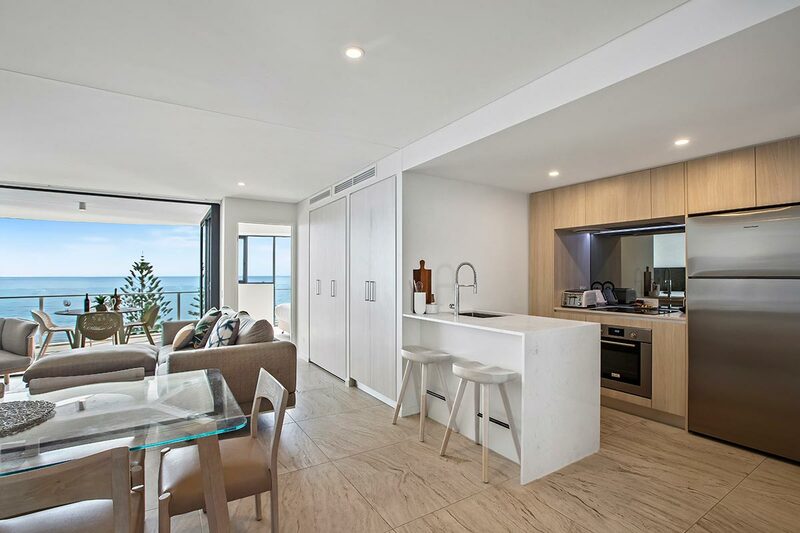 Least we forget, these Mooloolaba holiday apartments are all fully self-contained with cable television, laundry facilities, abundant free internet access, air conditioning and at the risk of repeating ourselves, north-facing balconies with breath taking views. With all this and great facilities such as a heated swimming pool, barbeque area and outdoor spa, this really is the best Mooloolaba accommodation — guaranteed to be relaxing, revitalising and full of fun adventures with your loved ones. With our central location on the Mooloolaba Esplanade this Sunshine Coast holiday apartment accommodation is close to all the good things that this town has to offer its visitors, restaurants, cafes, shopping and of course the beach is right across the road. 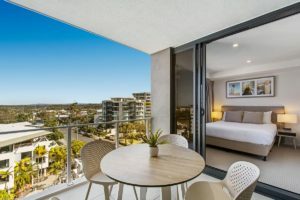 From this Mooloolaba accommodation beachfront you can explore the whole of the Sunshine coast and there is so much to see, along the coast and the hinterland. Discover the country towns and markets, or find the other towns that line the coasts and pick your favourite beach. This is Mooloolaba self contained accommodation you will remember. Book now for your holiday accommodation on the Sunshine Coast.